Yoga teacher training in India - 200-hour residential hatha yoga instructor course registered with Yoga Alliance at yoga schools, Rishikesh - Rys 200. Our 200 hour TTC is an entry level intensive yoga teacher training program meant for beginners and intermediate level yoga practitioners. Some of best 200-hour residential & affordable hatha yoga teacher training schools are Samatva Yogalaya, Shiva Tattva Yoga School, Multi Style Yoga School, Anadi Yoga Centre, Maa Yoga Ashram, Anandvan Yogpeeth, International Yoga Teacher Training & Retreats (Rys 200, Rys 500) & registered yoga schools with Yoga Alliance (USA) in India, conducts 200, 300 & 500 hour residential hatha yoga teacher training programs and yoga instructor courses (Ryt 200, Ryt 500, YTT, TTC, YTTC) throughout the year in Rishikesh (a spiritual town nestled in the lap of Himalayas, also known as yoga capital of the world). Reservation:To reserve your seat, you need to pay 20 % of fees as non-refundable deposit. Remaining fee needs to be paid upon arrival before starting of the course. » Internationally certified yoga teacher training certificate course registered with Yoga Alliance (RYT 200). » Additional 100 hours of training to enhance your yoga teaching skills. » A comprehensive yoga teacher training program taught by certified yoga instructors. » Residential facility amidst ashram surroundings with modern infrastructure. » Inexpensive yoga teacher training in India (affordable cost -$ 1200 USD - $ 1700 USD including food and accommodation). » Optional: Delhi airport to Rishikesh by taxi (6-hour drive - $ 70 USD). » Course fee includes food and accommodation (all students are provided private room with attached bathroom). » One can switch from one course to another within 12 months from the actual booking date. » Balance fee needs to be paid upon your arrival in Rishikesh. » All fees are non-refundable. Please don't send requests for a refund. » Anyone who is interested in learning ancient Indian system of Yoga and its applied sciences, with basic knowledge of yoga and ability to follow the yoga instructions and lectures in English, is welcome to join our yoga teacher training course certified by Yoga Alliance (RYT 200). » Individuals suffering from any ailments are advised not to seek admission for this course. » The candidate's age should not be less than 18 years at the time of admission. Yoga aspirants above the age of 50 years may be considered by the executive committee provided a fitness certificate is submitted at the time of admission. » In case of pregnancy, a medical authorization certificate for practicing yoga is required. » During the course, if a candidate is found unfit to undergo the course, his/her training will be discontinued and no refund of fees/charges will be made. » The system of the traditional teaching some time may differ from the west. Therefore students are advised to make their mind before they apply or get registered. Even sometimes the fundamental understanding of the yogic path may differ from yoga schools in the west. » Those, who are just expecting some of the modified versions of physical exercises in the name of Yoga, then Starlim India, Rishikesh may not be the right place. One should apply only if he/she is willing to follow the strict yogic rules and regulations of the center. » There will be a process of assessment - written as well as practical. » At least 95% attendance is required to qualify for TTC certification. » Satisfactory progress throughout the course is one of the criteria to award TTC certificates. » Behavior of the student would also be considered in assessing his/her progress. 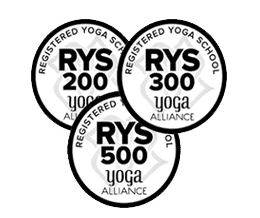 All the students who successfully complete our yoga teacher training course are awarded Yoga Teacher Training Certificate which makes them eligible for registering themselves directly with Yoga Alliance USA, as RYT 200. » Routine of the course should be strictly followed. Discipline is an integral part of this training program. Disrespect may render the student to lose his/her studentship and in such case, no fees would be refunded. » Absence from any activity of the scheduled program is a gross breach of discipline. Under inevitable circumstances, a student should obtain permission in advance from the teacher concerned/the respective Manager accordingly. » If a specific meal is to be avoided, it should be informed to the person concerned in good time, so that no food may be wasted. » Guests of the students will have to make their own arrangements. » During the course, any kind of extra-ordinary activities, not related to the course, will not be permitted. » No student would be allowed to enter into the hall, once the class starts. » All the library books and other dues, if any, must be settled before leaving the place. » Smoking and drinking alcohol are strictly prohibited. After receiving your TTC application, we'll send you an invoice of 20% of Fee (non-refundable) through PayPal (or a link to the payment page) containing all the relevant details about the payments required. Once your payment is processed, a booking confirmation will be sent to you through email. The booking amount, due with the application, is an advance towards the course fee and it is non-refundable. In case, you are unable to attend our course as per your booking, you can opt for our next courses as per our TTC schedule and availability of seats, within 12 months from the date of your current booking. The remaining fee needs to be paid upon your arrival. Fee once paid will not be refunded and is not adjustable under any circumstances. We understand that emergencies and other life situations do arise. We recommend that you carefully review your schedule and upcoming obligations to ensure that you can commit fully to our yoga teachers training course.